The Fair Show Photographer is Steed and Hound Photography. You will be able to order your photos on line. Below are samples of her great pictures. Be sure to bookmark this link! 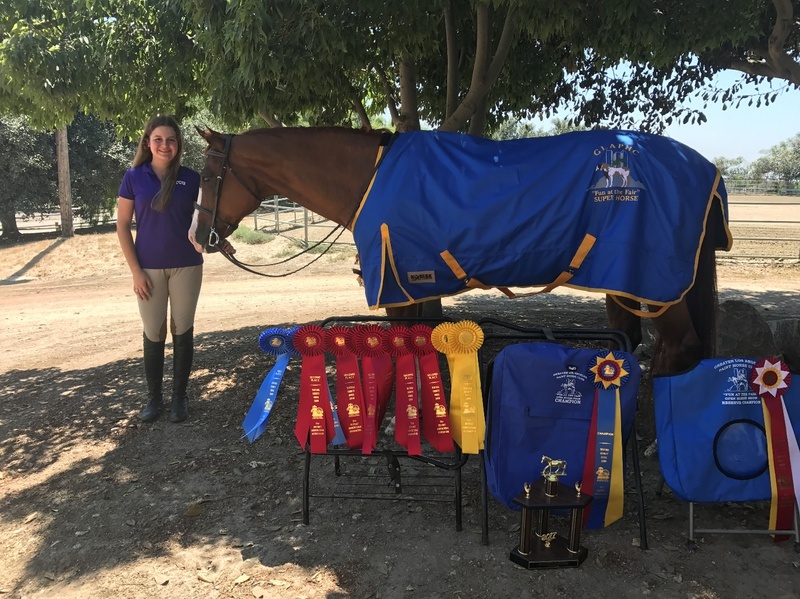 New Horses of Color Awards Program! We are happy to introduce our new program for unregistered or mixed breed horses. Membership is easy. You do not need to own a Paint Horse, or any horse to join our club. All ages are welcome with a special family rate. Pay the membership fee and you are good to go. Our club meets once a month. Meeting are informal and everyone is welcome to attend. Congratulations to our 2018 Super horse winner, Chloe Kischuk on "Dun with You", barn name Hailey. Haily is a 15 year old quarter horse mare. Chloe has owned Hailey for three and a half years. They live in Agoura Hills, California and Chloe attends Agoura Hills High School. Great job Chloe! The 2018 Reserve Champion Halter Horse winner is Julie Combs-Green from Simi Valley California, and her paint mare, Shes CoCo Chanel. This team also our 18 and over Reserve Western Champion! The "Fun at the Fair" show, is still an OPEN Horse Show, with an added bonus of having APHA National points offered for Registered Paint Horses. All of our regular classes will be run concurrently. The show is at the Ventura County Fairgrounds, Tuesday, August 7th and Wednesday, August 8th. Premiums will be available soon. Call for further information (805)428-6581 Sue Fleczok. Here's the 2018 Fun at the Fair show premium. The 2018 St Judes ride was a great success! The riders had a wonderful time and helped to raise money for a wonderful charity. Many thanks to all who particpated! The 2017 Super Horse Award goes to Straws Classy Lass, a 15 year old appaloosa mare and her rider Maggie Nelson of Glendora California. They accumulated the most points over two days of showing, the categories shown are; English, Western Pleasure, Trail, and Gymkhana. Maggie and "Edna" (that's her barn name) came together when they were both six years old. They recently went to the Appaloosa Youth World Championship Show in Fort Forth coming home with four top Five and three top Ten titles. That is a show they plan to attend next year also. This pair comes from a horse family that gives them lots of love and support. The GLAPHC is looking forward to hosting this truly fun show again in 2018 and seeing Maggie and Edna competing again. Be sure to thank them and like them on Facebook! •Sponsoring and/or encouraging American Paint Horse classes in all horse shows: pleasure and trail riding, racing, and all activities of the same nature in every way possible. •Educating the public about the qualities of the American Paint Horse and the American Paint Horse Association. The Greater Los Angeles Paint Horse Club wants to encourage it's members to promote their Paint Horse. We have a comprehensive awards program called the Paint Performance Program. It is offered to all APHA registered Paint horses including Breeding Stock or Solid Paint Bred horses. We are now offering awards for unregistered horses that display American Paint Horse Coloration.